The KestrelSpec Lite and Full versions support all of the Alta camera models from Apogee Imaging Systems. High quantum efficiency with Kodak's Blue Plus CCD sensors. Low dark current and read noise. Low to moderately priced systems. Back-illuminated E2V CCDs in some camera models. Support for all Alta cameras with either USB or Ethernet interface. 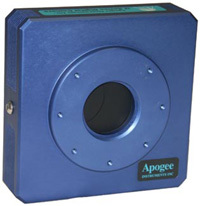 Integrated KestrelSpec software control of all Apogee camera functions. The KestrelSpec Lite and Full versions support the Santa Barbara Instrument Group ST-7, ST-8, ST-9, ST-10, ST-402, ST-1603, ST-2000, STF-8300 and STT-3200 cameras. Low cost of the ST series cameras. Parallel port and USB cameras supported. Integrated KestrelSpec software control of all SBIG camera functions. 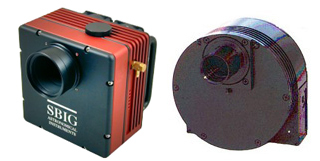 Andor cameras with the 1K x 1K, E2V 47-10 CCD are very reliable when used with the SE 200 echelle-type spectrograph. 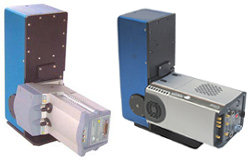 The EMCCD cameras (iXon and Luca r) and the sCMOS cameras (NEO and Zyla) are used primarily with the EMU-120/65 echelle spectrograph.